Coil your rope into a large circle – roughly 22cm in diameter. Pin into shape. 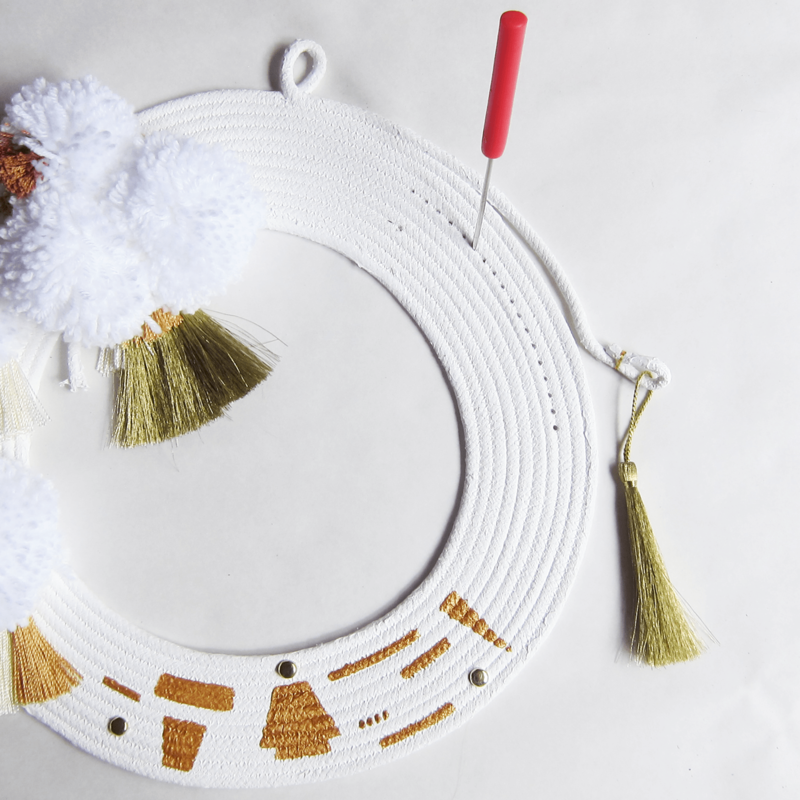 Using a wide zig-zag stitch, sew your coil into a large circle shape. Keep stitching your wreath until it is 8 cm thick. Paint one side of your wreath white. Leave to dry (approximately 2 hours), and then paint the other side. Leave to dry over night. O.K. Now lets start the fun stuff. Decorate your wreath. Decorate your wreath one-third at a time. In the first third make approximately 6 pompoms (assorted sizes). 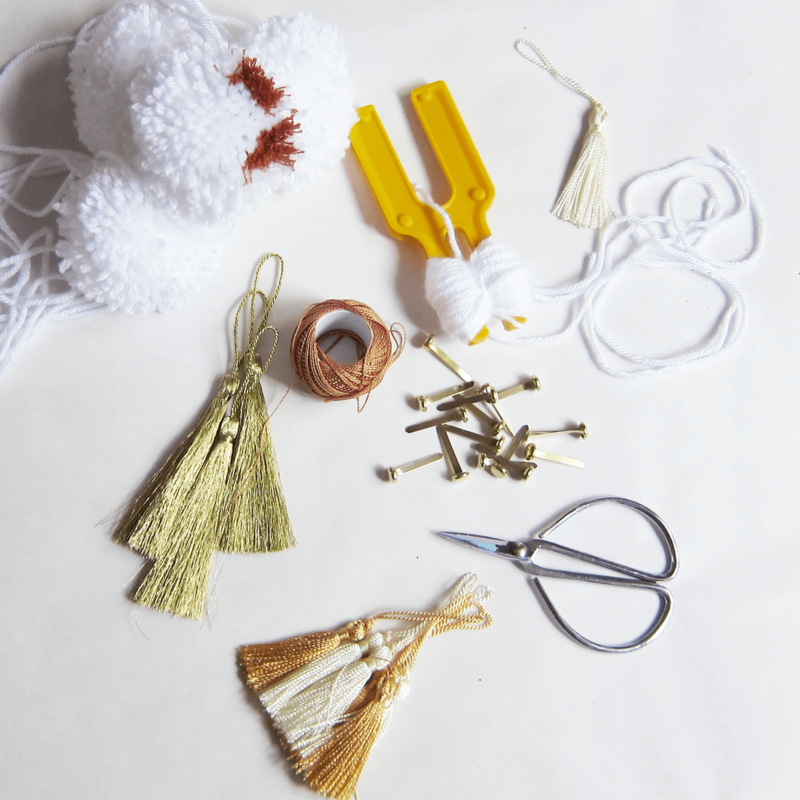 Take your tassels and pompoms and stitch them into place. Using your awl, you may need to pierce the wreath so you can push your sewing needle through. 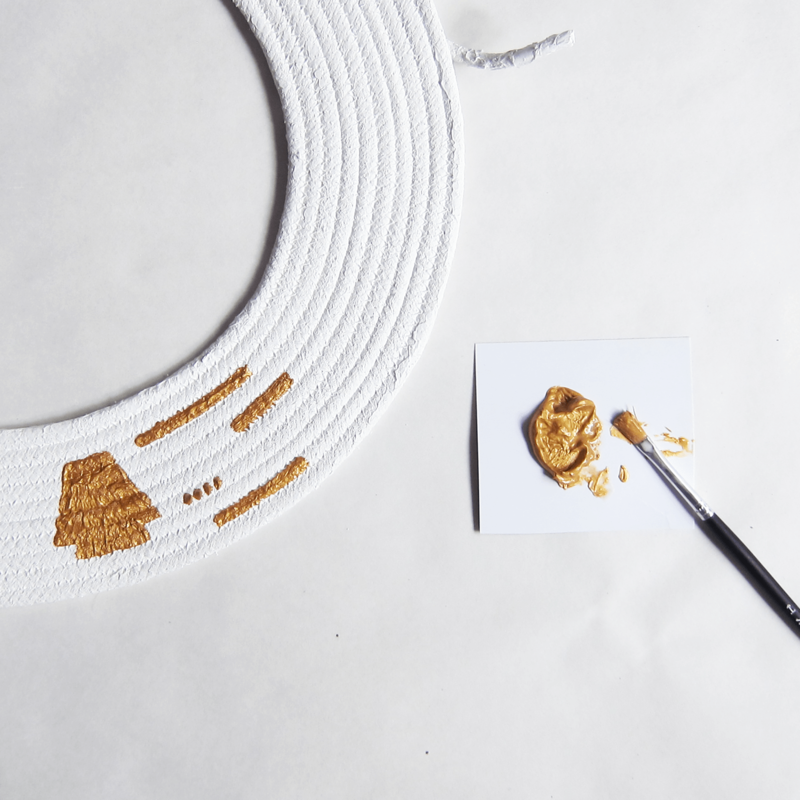 In the second third, using your gold paint, draw some fun shapes. I used a few random split pins in this section also. Leave to dry for approximately 20 minutes. In the last third, using your awl, pierce two even rows of small holes. Use these holes to stitch some fun embroidery. I ran a simple herringbone stitch. Your finished. You may like to make some final touches. 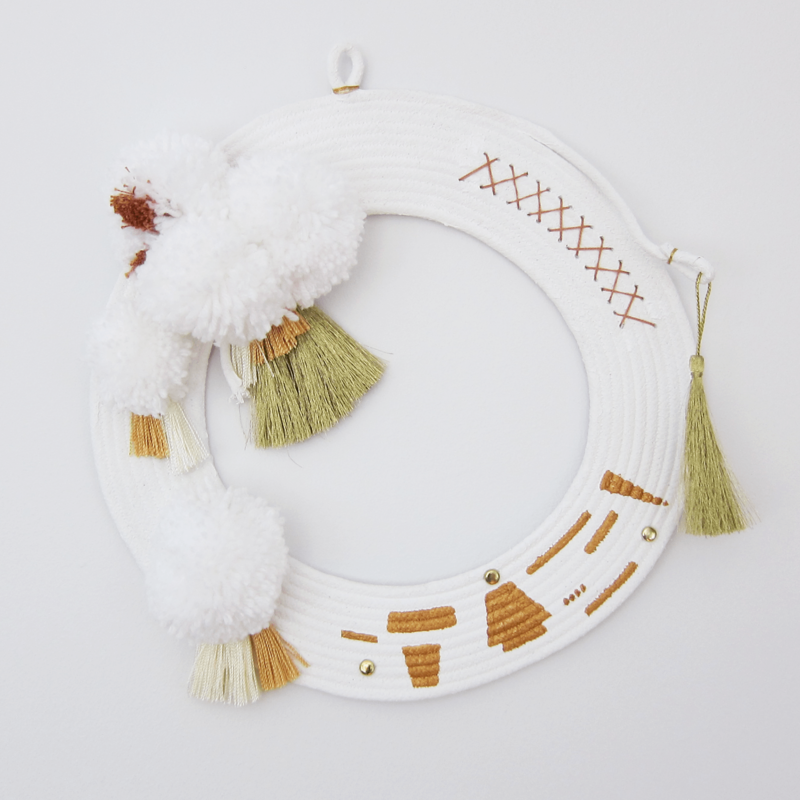 Attach a few more pompoms and tassels, but essentially, your complete. Hang this puppy on your front door, and have a very merry holiday!